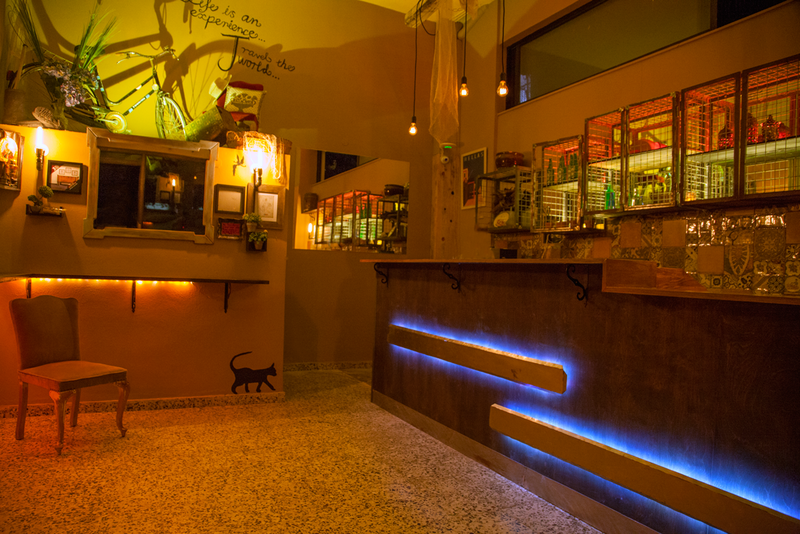 Rhodes Backpackers is a small family run hostel located a 15 minute walk from the old city. We are close to banks, supermarkets, cafes and bus stop that can take you to Faliraki and Lindos or into the hussle and bussle of down town Rhodes for a wild night out. . 2016 will be our first year, so come and join in the excitement. Enjoy drinks and mezze in our newly renovated bar with our friendly and laid back staff. Our aim is to provide a chilled and relaxing stay for our guests. In our newly renovated bar and cafe you can enjoy a selection of crafted cocktails, drink and coffee. We also serve breakfast in this area with an all day mezze menu to tame your appetite. Being of Australian origin we know how hard it is to find a good coffee when traveling and we aim to please. We have a selection of room types from apartments to private and dorm style rooms. The rooms are freshly renovated with air conditioning, key card access and private lockers in each. The en suite's are clean with some rooms having newly renovated bathrooms as well. Please make sure the front door is closed properly when you enter and don’t let anybody in you don’t know or who doesn’t have a key. Always close the door of your room when you enter or leave. The heating in the rooms is automated. Don’t touch the knobs to control the heating yourself. We reserve the right to refuse people or to remove people from the hostel without a refund in case of misbehaviour.